Bellis perennis is a common European species of Daisy, often considered the archetypal species of that name. 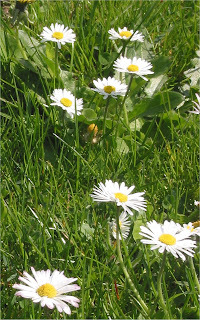 Many related plants also share the name "Daisy", so to distinguish this species from other daisies it is sometimes qualified as Common Daisy, Lawn Daisy or occasionally English daisy. It is native to western, central and northern Europe. The species is widely naturalised in North America, and also in South America. It is thought that the name "daisy" is a corruption of "day's eye", because the whole head closes at night and opens in the morning. Chaucer called it "eye of the day". 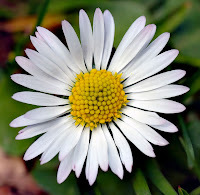 Daisy is also a common girl's name and is a nickname for girls named Margaret, after the French name for the oxeye daisy, marguerite. It is a herbaceous plant with short creeping rhizomes and small rounded or spoon-shaped evergreen leaves 2–5 cm long, which grow close to ground. The flowerheads are 2–3 cm in diameter, with white ray florets (often tipped red) and yellow disc florets. Although many people think that the flower had a yellow centre with white petals this is not the case. Each individual "petal" is itself an individual flower. In the centre there are many tiny yellow flowers also. The different colours and styles of flower work together in order to attract insects. This type of flower is known as a composite flower. 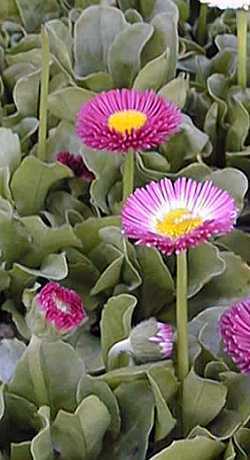 They are produced on leafless stems 2–10 cm (rarely 15 cm) tall. 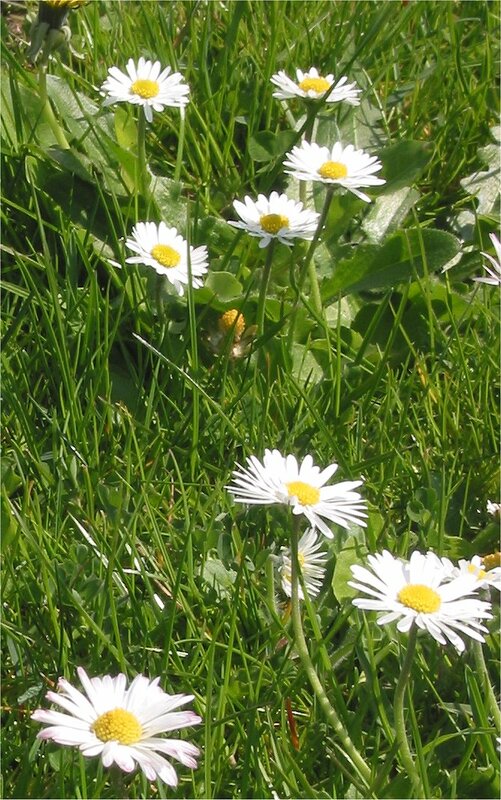 The lawn daisy is a dicot.